Shareholders representing approximately 17.09 per cent of the company's shares and approximately 61.31 per cent of the votes propose to the Annual General Meeting that six (6) members be elected to the Board of Directors. Shareholders representing approximately 17.09 per cent of the company's shares and approximately 61.31 per cent of the votes propose to the Annual General Meeting that the current members of the Board of Directors Mr. Thomas Bengtsson, Mr. Peter Carlsson, Mr. Lassi Noponen, Mr. James Penney and Mr. Matti Vuoria be re-elected according to their consents and Mrs Gudrun Giddings be elected according to her consent as a new member of the Board of Directors. Gudrun Giddings (Beverly Hills, California) has more than 20 years of experience in different capacities within entertainment industry in Hollywood. 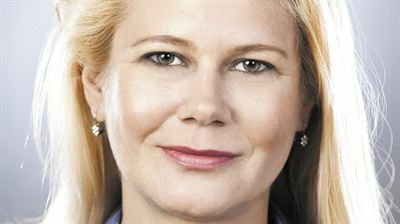 She is the CEO and producer at G4C Innovation and is a Co-founder of Entertainment Capital Network as well as the U.S. Ambassador for Scandinavian Film Locations. Gudrun serves on the Board of Directors for Mentor Foundation USA, founded by H.M. Queen Silva of Sweden and the World Health Organization. She is also a Board Member of Swedish American Chamber of Commerce USA and is the President and Chair of The Swedish American Chamber of Commerce-Los Angeles. Gudrun previously served as a Producer and Vice President of Production at Paradox Entertainment. Before joining Paradox, Gudrun was the Director of Production for Davis Films, under the distribution company Metropolitan Filmexport. The above-mentioned shareholders’ previous proposal on the remuneration of the members of the Board of Directors is not amended.